On October 20th 2016, nubia has officially announced its new launch of the Z11 Mini in the India in exclusive partnership with Amazon.in. The device is scheduled to release on October 21, 2016 for Indian Market Sales. The nubia Z11 mini’s special feature is its amazing camera quality which is powered by NeoVision™ 5.8. It provides The DSLR-like photography system. 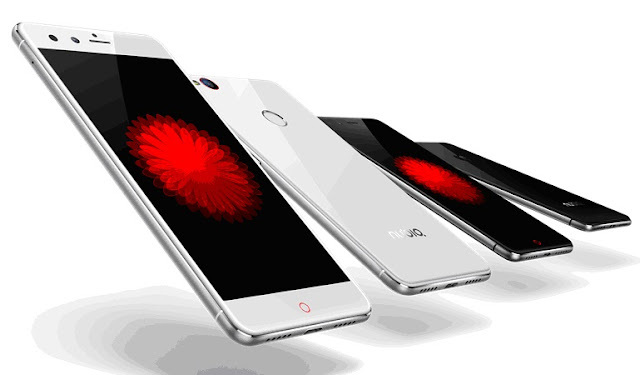 The nubiaZ11 mini is a type of Fingerprint Photography Smartphone features Super Screen Capture and Screen Recording, etc. nubia has been dedicated to the art of mobile photography. The device is fitted with 16MP Sony IMX298 sensor rear camera and 8MP front camera exclusive skin retouching effects and eight different kinds of filters and selfie fill-in light allows you to shoot clean and beautiful photos in low-light conditions. The DSLR-like photography system NeoVision™ 5.8 subverts your imagination and transcends it. 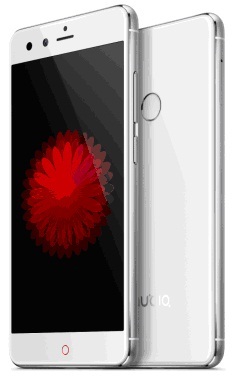 The other key highlight is nubia’s patented Frame interactive Technology (FiT). With this nubia has opened up a new era of smartphone interaction the next big thing which it is planning to introduce in the fast-growing Indian smartphone market. The nubia Z11 mini also features 2.5D Arc Glass design, 64-bit Octa-core Qualcomm® Snapdragon™ 617 processor, 3GB RAM and 32GB ROM which can be expanded to 200GB via a microSD (TF) card. New nubia camera system NeoVision™ 5.8 – The nubia Z11 mini provides brand-new NeoVision 5.8 DSLR-level photography system with Camera family. Besides, Nubia’s exclusive Separate Focus and Metering, Independent WB, Time-lapse photographing, Electronic Aperture, Multi-exposure, Light painting, Star Trail and Slow Shutter allow you to shoot photos easily. You will fall in love with Smartphone photography and enjoy the DSLR-level photographing experience. nubia has also integrated PDAF (Phase detection auto focus), LTM (Local Tone Mapping) and DTI (Deep Trench Isolation), to provide the best smartphone photography results possible. Frame interactive Technology - FiT is a revolutionary smartphone interactive technology that represents the latest innovation of a user-centric brand. This innovative technology redefines user interaction and allows them to reimagine the way they control mobile devices, bringing endless interactive freedom. Harnessed with FiT, nubiaZ11 Mini offers a convenient and humanized interactive style, giving users a new and intriguing experience. By merely swiping up or down on either edge of the screen, users can quickly activate a specific app or switch to the background program; by repeatedly swiping the edges, they can complete rapid memory task clean-up and by simply touching the edges, users gain access to brightness and volume adjustment. Back fingerprint sensor, safe, convenient and fast - The nubia Z11 mini sports a fingerprint scanner at the back can be used for more functions other than just unlocking the device. According to, the fingerprint sensor on the smartphone can be used as a camera shutter button or for taking screenshots. Long press the fingerprint area to quickly enter SuperSnap and take screenshots quickly and conveniently, such as Long Screenshot, Free Screenshot and Screen Recording. Design and display - The nubiaZ11 Mini features a screen size of (5”) 12.7 cms and a full HD display of resolution 1920x1080 pixels. Its IPS LCD screen provides a good viewing angle which comes protected by both a Gorilla glass 3 and Scratch-resistant glass. It is available in two different colours Black and White. With a thickness of just 8mm and weighing just 138 grams, it's both slim and lightweight. Operation System and configuration - The nubia Z11 Mini is armed with an Octa-core Qualcomm® Snapdragon™ 617 (MSM8952) processor accompanied with 3GB of RAM making this device handle both heavy and multiple apps with ease and efficiency. For gaming, the graphics are handled by Adreno 405 GPU and its chipset is built on 64-bit architecture. It holds 32GB as built-in storage which is expandable upto 200GB. The nubiaZ11 Mini runs on the Android v5.1 (Lollipop) OS, further customized by nubia UI 3.9.6. Battery - The nubia Z11 Mini is powered by a durable power 2,800mAH battery. The nubia Z11 mini offers regular connectivity options like Bluetooth with 4.1 wireless technology, GPS, Wi-Fi 802.11 b/g/n/ac, 4G, GPS/ A-GPS, GLONASS and Compass navigation. The nubiaZ11 Mini comes with all the features one expects in latest mid-range smartphones today. With sharp display, powerful camera, mighty configuration, attractive built and design, the phone worth’s your attention. Founded in October 2012, nubia aims to bring high-end, innovative smartphones to adventurous users who want to pursue new experiences and an enhanced quality of life. Inspiring the world to “Be Yourself,” nubiacontinues to elevate lifestyles by encouraging users to chase their dreams and pursue new passions. With headquarters in China, nubia now has operations around the world including North America, South America, Europe, Russia, Southeast Asia and India. The brand is well known for its innovative smartphone features and professional photography functions. More information on nubia can be found at the official website, www.nubia.com/in. Follow @nubia_india on Twitter, @nubia_india on Instagram or www.facebook.com/nubiasmartphoneindiafor latest updates.